Now the election is passed and we have learned of a new scandal emanating from MIT professor and Obamacare architect Jonathan Gruber. By now you’ve seen one of the many videos of Professor Gruber saying how the American voters are stupid, how voters do not understand basic economics, and how this provided great advantage to them as they came up with deceptions worked into the Obamacare. We in the Tea Party Movement have always trusted in the morality and the wisdom of our fellow Americans. We have faith in our republic. But we know that there are limitations to the democratic process. Voters can only judge when they have all the facts plainly before them. The role of the Media is to inform the American voters so they can make wise choices. As of late we have found the media to be unreliable in this sacred duty. When politicians and technocrats lie to the American people about the issues and no one in the media will speak the truth, is it no wonder that voters cannot make wise choices. The Tea Party Movement is a movement based on the values of education and truth. Our movement believes these virtues will establish lasting political change. Policies of lies and deceit have no true advantage; policies of lies and deceit are doomed to fail because the truth cannot be hidden. George Washington was famous for never having told a lie. He also told us that “99% of failures come from men that make many excuses.” Our nation needs to return to the virtues of men like George Washington. This newsletter will be heavy with links to many of the reports about what has gone on with the Obamacare and what is going on with Professor Gruber from the Massachusetts Institute of Technology. We need to be careful whom we place trust in. We are all concerned about polyester suited used-car salesmen selling a lemon when should be much more concerned about well polished political consultants shackling us with failed policies that fill the pockets of their donors and ensure the reelection of lying politicians. The Worcester Tea Party is proud of the part we played in sharing these facts with the public. 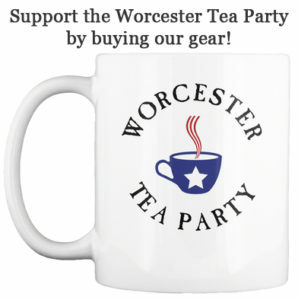 We will tirelessly continue to do this work; it is the core reason for the Worcester Tea Party. But it is also true that these things have a cost so we encourage you that if you find this to be of value to please make a monetary donation to the Worcester Tea Party. With your very generous support I am confident we will continue to be able to make a difference in our Commonwealth and in our nation. That difference is more critical now than ever before as we see our worst fears about these policies coming to fruition and the burdens of these policies being forced on our children for generations to come.